Last month, I got together with my editorial team, my Little Market girls, my favorite photographer Yoni Goldberg, and my fabulous baker friend Lauren Lowstan. We spent the day crafting and cooking for Easter and Cinco de Mayo. 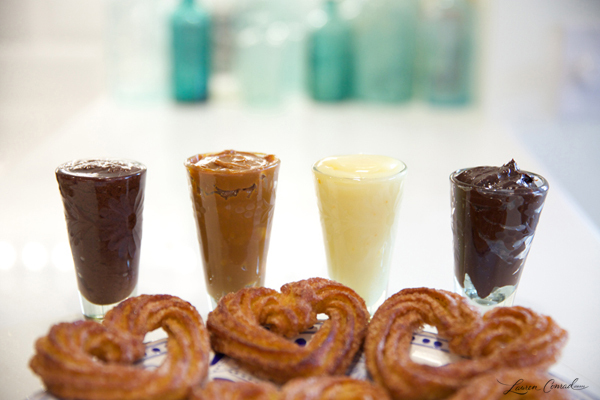 And since no Cinco de Mayo is complete without churros, I had Lauren Lowstan whip up a batch, complete with four different dipping sauces. 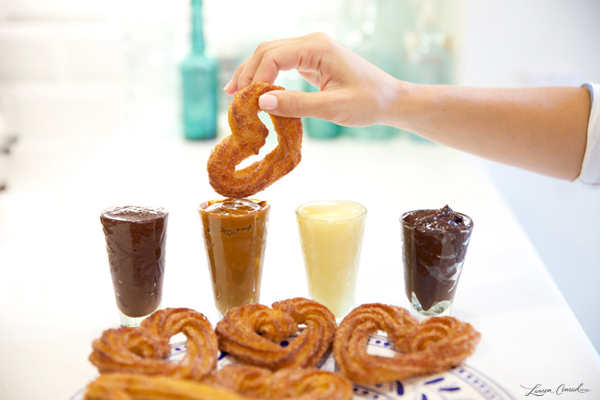 Churros are one sweet treat that always hit the spot for me. Maybe because they are reminiscent of some of my favorite travels, or maybe because they really just are that good. 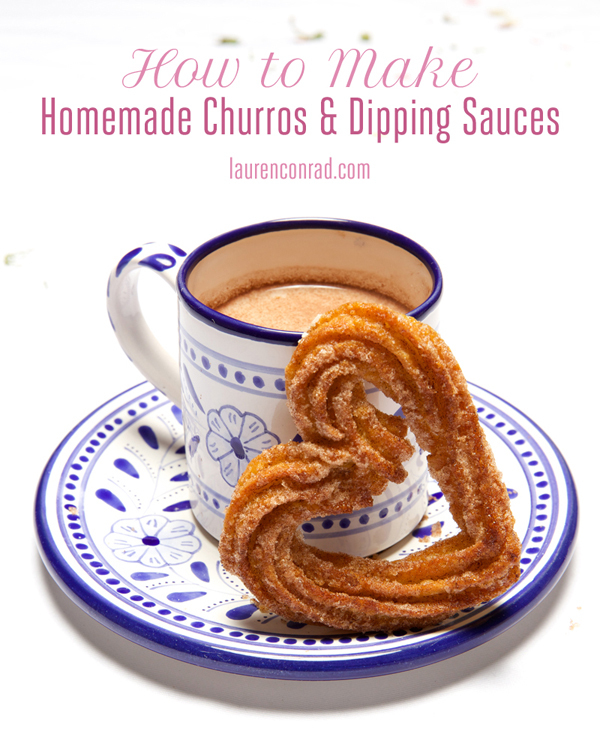 Either way, Lauren’s special recipe makes for the best churros that have ever melted in my mouth. 5. Spoon the dough into a pastry bag fitted with an Ateco 846 piping tip (large star tip).